Appearing at Andrea Rosen Gallery, SIGNAL is proud to announce Without A Body, featuring the work of Ivana Basic, Sable Elyse Smith and FlucT (Sigrid Lauren & Monica Mirabile). The exhibition is curated by SIGNAL, and is the first in a series of exhibitions at Andrea Rosen's Gallery 2 that will be curated by artist-run spaces and collectives. 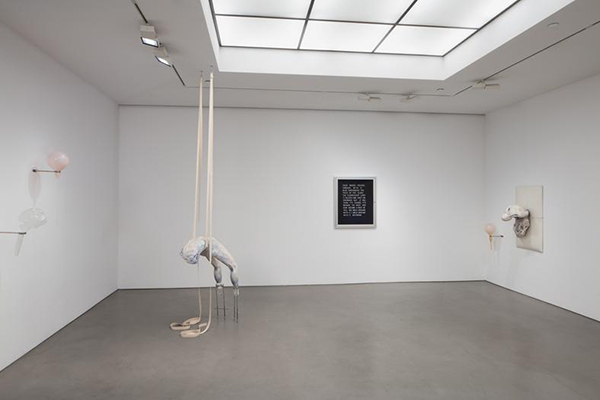 Visit the exhibition at Andrea Rosen Gallery. See photos from the opening at Purple Diary. Read a review from San Francisco Arts Quarterly.